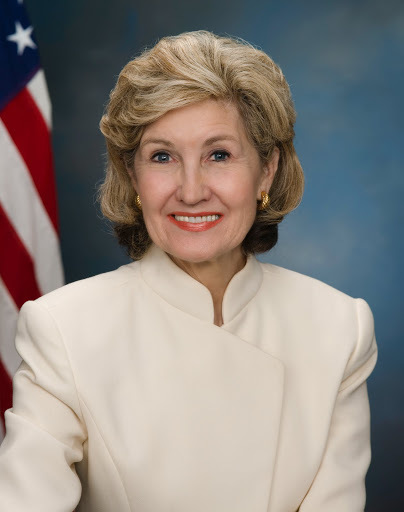 I don’t begrudge Kay Bailey Hutchison one bit for taking back her promise to leave office. Why should she leave now? The senior Texas Republican senator got thumped in the March GOP primary for governor. Yes, she had said she would leave office “win or lose” in March. But she has gone back on it, saying today she will stay in office until the end of her term, which expires in 2012. What are Texans going to do — fire her? I’ll give Hutchison credit for this: She at least made up her mind quickly and declared her intentions publicly in rapid succession, unlike earlier when she dithered and dawdled over whether to resign her seat prior to the primary — which might have contributed somewhat to her defeat at the hands of Gov. Rick Perry. Here’s a final word of advice: Don’t change your mind, senator, about leaving the Senate when your term is up. You’ve made yourself quite clear on that point. Taking back that pledge might be more than Texans can handle. A report today of a motorcyclist injured critically in an accident in north Amarillo has me wondering — yet again — why the state repealed its law requiring helmets for people operating a motorcycle. The man wasn’t wearing a helmet. Amarillo police say speed may have played a part in the wreck. His head injuries reportedly are quite severe. No one knows yet whether he’ll recover. But I have to ask: What if he doesn’t recover fully? What happens if he has suffered permanent brain damage, meaning he cannot work? He then falls under the care of the state for the rest of his life. Suppose he lives a long time. How much money will the state spend on his care? Will it run into the millions of dollars over a long period of time? It’s this possibility that has me wondering why the state decided in the 1990s to allow motorcyclists to ride without a helmet. Yes, the state requires casualty insurance. I believe the amount is $10,000. Anyone who’s spent more than 48 hours in an acute-care hospital knows that the 10 grand is eaten up almost the moment you check in. But applying the time-honored — but nevertheless odd — Texas logic about independence and freedom of choice, the Legislature determined that it should not interfere with motorists’ desire to expose themselves to the kind of injuries apparently suffered this morning by that unfortunate motorist in Amarillo. I pray for the man’s complete recovery. Texas Attorney General Greg Abbott is a good guy, a fine lawyer and a dedicated public servant. And that makes me wonder why he is wasting his time, and Texans’ money, on a lawsuit aimed at overturning the just-passed health care reform. Abbott is one of about a dozen state attorneys general who have joined in this action. They don’t want the federal law foisted on the states. So they’re seeking to have it thrown out on the basis that it’s unconstitutional. The federal government has no constitutional authority to mandate health insurance for Americans, the attorneys general contend. I guess they skipped over the part of the Constitution, its preamble, that empowers the government to “promote the general Welfare.” I kind of believe that health care falls into that broad category of federal responsibility. Well, there’s much about the health care reform that makes me nervous. It’s costly; it’s punitive; it’s an overreach; it’s likely to drive up many costs across the board, such as insurance premiums. But the state of Texas is facing a significant budget shortfall in the next biennium. Estimates place it as much as $17 billion. Why is the state spending money it doesn’t have on a lawsuit that could turn drag on for years? If the AGs win, the feds will appeal; if the feds win, the AGs will appeal. It could find its way to the U.S. Supreme Court — eventually. The only apparent positive element I can find in this is that Texas is in better fiscal shape than many other states. But that doesn’t mean we’re not about to feel some pain once the Legislature convenes next January. 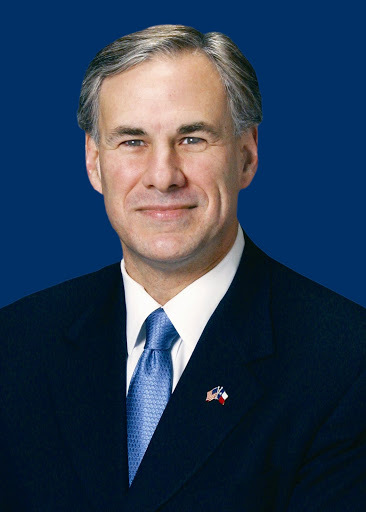 AG Abbott can find other, more constructive cases to litigate. I’m not sure how much more of this kind of news I can take. The Texas State Board of Education, intent on revising our state’s public school curriculum to fit a certain political profile, has — among many things — mandated the studying of a Civil War president’s inaugural address. It’s not President Lincoln’s speech. No sir. 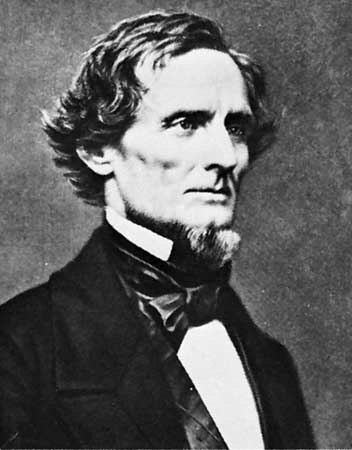 The speech the SBOE wants our children to study was delivered by Jefferson Davis, the president of the Confederate States of America. Say what you will about the merits of the Confederacy’s cause, Davis was a traitor to the nation. The cause of the war is being debated to this day, nearly 150 years later, by those who argue over whether it was about “states’ rights” or slavery. This point is beyond dispute: Davis led a band of states in an armed insurrection against the federal government. That, by definition, characterizes him as a traitor. His words need not be studied by Texas students. It’s OK to study the armed conflict that the nation fought against itself. That’s an important event that must be examined — and we must allow our students access to all the well-documented reasons that the war erupted in the first place. But Jefferson Davis doesn’t belong in the same league with the man who served as president of the United States while he (Davis) sought to destroy the Union. I guess the folks who oppose health care reform are taking their defeat seriously. Some of them are saying some hateful things to members of Congress who voted for the legislation promoted heavily by President Obama and congressional Democratic leaders. Oh, but it gets worse. Some anti-reformists are actually threatening members of the House and Senate with physical harm. Democrats are blaming Republicans for failing to speak out against the threats. Republicans, meanwhile, are blaming Democrats for fomenting the outrage and using it as a campaign tool. Meanwhile, back here at home, our congressman, Republican Mac Thornberry of Clarendon, hasn’t said much publicly about the anger being expressed. He ought to speak out — sooner rather than later. Thornberry, to his great credit, hasn’t been a bomb-thrower since being elected to Congress in 1994. He’s a thoughtful guy who speaks intelligently about his opposition to the health reform legislation that has become law. But he has allied himself with others who aren’t so circumspect. If congressional leaders of Thornberry’s ilk — including the veteran Panhandle lawmaker himself — were to speak out against the rage being expressed, then perhaps we can return to some semblance of civility. Yes, I know. That’s a stretch. But it’s worth a try. The culture warriors who comprise a majority of the Texas State Board of Education aren’t giving up their power without a fight. The SBOE has enacted a social studies curriculum policy for Texas’ public schools that now favors conservative thought over liberal thought. There’s a vocal faction on the 15-member board that believes in the biblical version of earth’s creation — and want that version taught in our public schools along with the scientific theory of evolution. It doesn’t seem to dawn on them that matters of religious faith are better suited for study and reflection in places of worship. What in the world happened to the notion that we ought to teach our children with zero regard to which end of the political spectrum gets favorable treatment? The SBOE is undergoing serious change as a result of the March 2 primary election. At least two members of the arch conservative faction were defeated at the polls, giving many folks reason to believe that a more balanced approach to public education was returning to the elected board. But that won’t happen until January when the new board members take office. Until then, the culture warriors have more work to do. 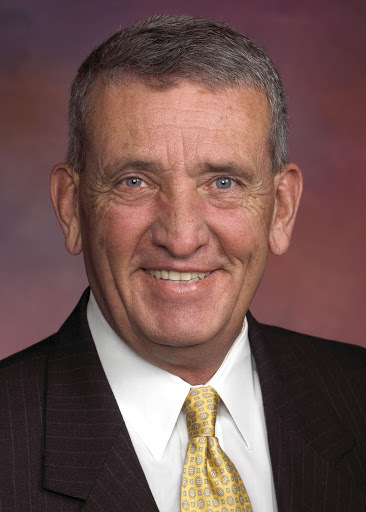 A couple of things stood out from Gen. Tommy Franks’ talk Thursday night at the annual BSA Lyceum. Then, seemlessly he moved into the serious part of the speech, speaking in the dignified language he used to brief the media on national TV during his time as commander of combat forces in Afghanistan and Iraq. But here’s the strange part: I cannot remember precisely when he dialed back the twang in his tone. I just noticed it after he had been talking for a few minutes. — I also was struck by the political jabs he offered at what generally is a non-political event. The Lyceum is staged as a fundraiser for BSA Hospital. BSA has invited political dignitaries previously: Bill Bennett, Bill Bradley and Elizabeth Dole to name just three. Colin Powell, another soldier of some renown, has spoken too. Gen. Powell, if memory serves, managed to stay away from lacing his comments with political barbs. Franks wasn’t quite so discreet, although he wasn’t terribly rough in his treatment of former President Clinton and the current commander in chief, President Obama. He referenced President Clinton’s call in 2000 in which he asked the general if he wanted a fourth star. “This is a great country,” Franks said to the BSA crowd, drawing laughter throughout the room. Later, he talked about President Obama and explained that he’s never commented on Obama’s tenure as commander in chief “because the people voted him in and if they want to vote the sucker out in 2012, they’ll do that, too.” That comment drew throaty cheers and applause from his overwhelmingly Republican crowd. The general knows his audience. It was a wonderful event, though, to witness a true American hero — as he was described in state Sen. Kel Seliger’s introduction. Three Purple Hearts earned in Vietnam and nearly four decades of service to his country give this giant figure a special place of honor in our nation’s history. Thank you for your service, Gen. Franks. Rush Limbaugh said what? That he would leave the country if Congress passes — and President Obama signs — health care reform legislation? One of the many maddening aspects of guys like Limbaugh is that they can utter such nonsense and not have to be held accountable for their hyperbole. He’s not alone in making such idiotic threats. Alec Baldwin, the actor/comedian/political activist, said the same thing in 2000 if George W. Bush was elected president of the United States. I can’t recall Baldwin’s precise language, but he went on at some length about how the nation would be going to heck in a handbag if the Texas governor ascended to the White House. Baldwin didn’t want to be associated with the country if that were to occur. Bush won — and won again four years later. But Baldwin’s still here, making a handsome living with a network TV show. And no one has said much in recent years about that pledge to leave the country. I’m guessing Daddy Dittohead’s threat will draw a similarly silent response if health reform passes. Communication is vital, especially when you’re dealing with people who are paying for a service. I’ll have more to say on the subject in my column, to be published Sunday. But it appears that chronic dummying-up by airline employees needs to be eradicated when things go wrong. The weather brought some havoc to air travelers arriving at Rick Husband Amarillo International Airport late Sunday. It was too foggy to land. The plane was diverted to Lubbock. One of the passengers on that flight was my wife. She wasn’t happy. What got her so worked up? It wasn’t the diversion to Lubbock. It was the lack of explanation from anyone who might know something, and who might be able to tell her how the airline planned to get her home. Texas Gov. Rick Perry dismantled his two Republican gubernatorial rivals this past week, winning the GOP primary with an outright majority — garnering 52 percent to 30 percent for Kay Bailey Hutchison and 18 percent for Debra Medina. But I cannot locate anyone who says they voted for him. Granted, I haven’t talked to every Republican in Amarillo. But I’ve talked to quite a few of them, many of whom are mainstream conservatives. One guy, a prominent Amarillo lawyer, said he never could vote for Sen. Hutchison “because she favors Roe v. Wade,” so he voted for Medina. Another friend, a strong supporter of Congressman Mac Thornberry and other leading Republicans, said he “held my nose and voted for Kay.” Others have said much the same thing: They just couldn’t vote for anyone with great enthusiasm. Medina, the Wharton County “tea party” activist who shot herself in both feet near the end of the campaign with that nutty talk about 9/11 possibly being an inside job, did well among the most ardent conservatives. That was the vote Gov. Perry was targeting. The ballot totals suggest he did quite well, avoiding a runoff. But where are they? The folks I’ve encountered in the days since the election aren’t fessing up to voting for the guy. It’s reasonable to note that Perry doesn’t engender much warmth. He’s a tough dude, able to campaign as hard as anyone who’s come along in decades — as Hutchison learned. Great politicians — like Thomas Jefferson, Ronald Reagan and John Kennedy — often have their names become political adjectives. I haven’t heard anyone yet declare himself to be a Perry Republican.